For 96 years, Packer Thomas has served generations of business owners, families, and others with tax, auditing, accounting, and information technology services. But we didn’t last that long by standing still. We’ve evolved to meet the needs of our clients who are also facing challenging changes in their financial, tax, and information technology environments. When you’re a Packer Thomas client, you won’t face those challenges alone. We employ a highly energized team of more than 65 professionals, all with the skills to get you into your optimal financial position—and continue to protect your business and personal growth. Through profound client involvement and matchless expertise, we have built generations of trust, loyalty, and mutual success. Ask us what our 96 years of experience can do for you. Our Agribusiness team has members who come from family farms and are actively involved in the agriculture industry. 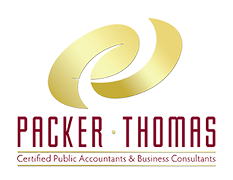 Packer Thomas can help you accelerate earnings and comply with new taxation, as well as other industry laws. Our construction services experts have a solid history of helping contractors and suppliers meet their financial obligations. Our oil and gas team has the expertise and is ready to help you navigate through the complex area of oil and gas taxation. The breadth of our professional experience makes us your secret weapon for efficient operations and market growth. Packer Thomas is here to help you stay focused on what matters most: your patients and the quality of the care you offer. Our team has a solid understanding of the not-for-profit environment and the unique audit, accounting and tax issues surrounding it. Packer Thomas has the knowledge and experience to keep your plans safe.